8/6/14 ASHLAND, Ohio – Three Ashland University faculty members and 17 AU students participated this summer in a three-week “AU in Germany” experience that included a stay in Wittenberg as well as weekend excursions to nearby cities. The group spent May 18 to June 7 in Germany and stayed at Colleg Wittenberg, an educational institution that partners with the university. “We spent our academic days in Wittenberg, which included a number of evening lectures, and then took weekend excursions to nearby cities like Dresden, Leipzig, Weimar, Erfurt and Eisenach,” said Dr. Dr. David Aune, chair of AU’s religion department and director of the “AU in Germany” program. Through Ashland’s Global Passport Strategies, students participating in the “AU in Germany” program can also receive credit for their language requirements. According to Aune, students take two courses as part of the program, with one week of instruction held in Ashland and three weeks in Germany. “All three of the courses this year -- ‘Luther and the German Reformation,’ ‘Contemporary Germany’ and ‘Global Film’ -- focused on some aspect of German history or culture,” he said. The AU students participating in the program were Hunter Aims, Lauren Behrendt, Johnathan Benko, Hallie Carrino, Andrew Dailey, Pauline Dexter, Edie Henthorne, Danielle Himler, Janessa Huffman, Edward Hunt, Christa Kettlewell, Magdalene Laginya, John May, Martin Renemans, Kendal Stephens, J.T. Venus and Emily Wagner. He said for some this was their first overseas experience and it introduced them to travel and gave them skills to travel on their own. After two weeks of being in Germany becoming familiar with European travel, the students were given a free weekend to split up and travel to other locations in Europe. The students chose Frankfurt, Munich, Prague, Paris and Copenhagen. As part of the program, students are required to write a narrative explaining their learning outcomes related to cultural differences and reflecting on their own life. The trip also allowed students to gather information about their own academic majors. The program celebrated its 10th year in 2014 and Aune, who has participated in the trip for the past three years, said this year’s trip had many highlights. Aune said the weather was beautiful, which allowed for the group to ride bicycles through the town and over the river into country areas. “A couple of things the students recognized were there are very few cars in comparison to here in the U.S. with more public transportation and bicycles as well as a greater concern for renewable energy with more wind and solar power and recycling,” he said. Aune also noted the students were able to see an election for the European Union that was going on while the group was there. “People appreciate the privileges we have as Americans. The Germans were asking about life in America and they want to know more about it. We actually become ambassadors for the country,” he said. Aune said the students were really able to interact with the local culture in Wittenberg. “Every Thursday evening our group participated in a conversation around the table with local folks who were practicing their English. In German it is called a ‘Stammtisch’,” he said. 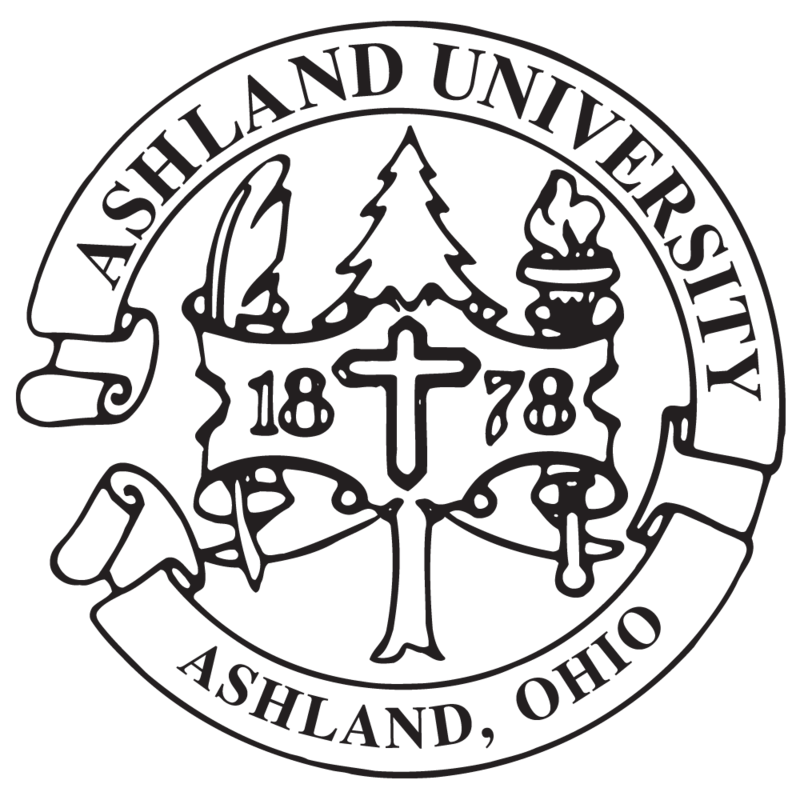 Ashland University, which has been ranked in the top 200 colleges and universities in U.S. News and World Report’s National Universities category, is a mid-sized, private university conveniently located a short distance from Akron, Cleveland and Columbus, Ohio. Ashland University (www.ashland.edu) values the individual student and offers a unique educational experience that combines the challenge of strong, applied academic programs with a faculty and staff who build nurturing relationships with their students. The Ashland University faculty members and students pose in front of The Brandenburg Gate, located in the western part of the city centre of Berlin. The Brandenburg Gate is one of the most well-known landmarks of Germany.